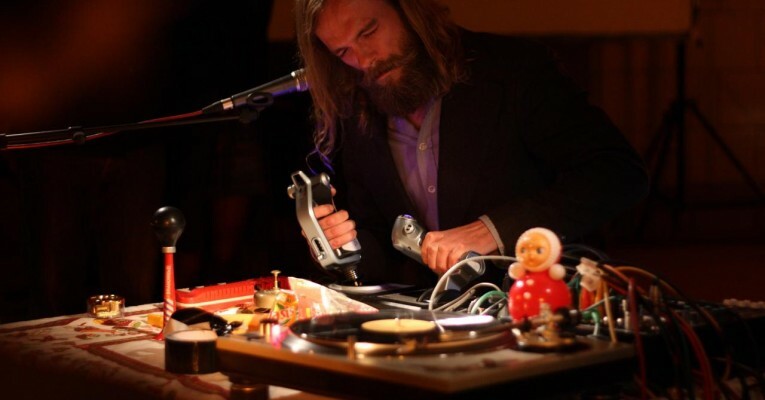 TokTek designs and deconstructs his own electronic instruments, giving his music a unique character and allowing him to improvise live on stage with the help of joysticks – the central piece in his live equipment. Behind TokTek stands musician and visual artist Tom Verbruggen, who aside from building his own instruments is an improviser. His eclectic electronic style has been described as illogical hardware bending, where the outcome creates dramatic live compositions, which break down into delicate and tender sound moments. The joysticks enable a physical interaction with his computer and equipment. TokTek investigates the effect of his intervention in the technology.